A suburban man has been charged with robbing a 17-year-old girl onboard a CTA train, a crime that was featured in a CPD community alert over the weekend. Shortly before 1 p.m. on March 21, the victim was on the Green Line near the Morgan station when a man approached and asked for food, police said. The offender then touched the woman’s genital area, took her phone, and ran from the train, according to the alert issued late Friday night. Now, police say they’ve arrested 31-year-old Melvin Turner of west suburban Carol Stream in connection with the crime. 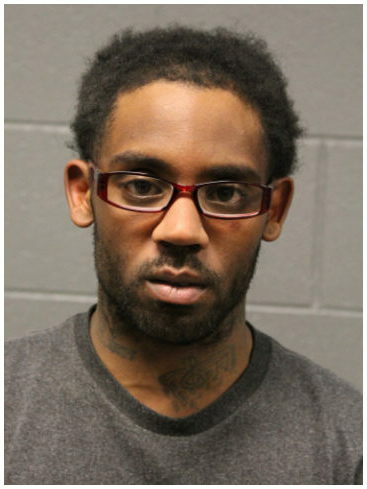 Turner was arrested early Sunday in Oak Park after police identified him as the robber, according to Chicago police. Turner is charged with one count of felony robbery. He is due in bond court on Monday. Friday night's community alert also told of a second incident that was reported in the Loop: Around 1:30 p.m. on March 26, two men followed a woman onto an elevator at the Harold Washington Library/State-Van Buren train station. The men asked the woman for money. When she refused, the two began kissing the woman, and one of the men made contact with her genital area, police said. The two offenders were black males in their late 20’s or early 30’s who stand 5’6” to 5’8” tall. Both were wearing black skull caps, according to the police alert. Turner has not been charged in connection with the downtown incident.